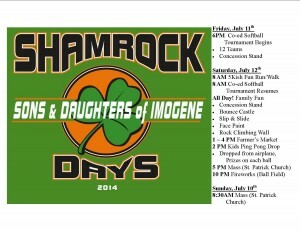 Shamrock Days July 11th & 12th! 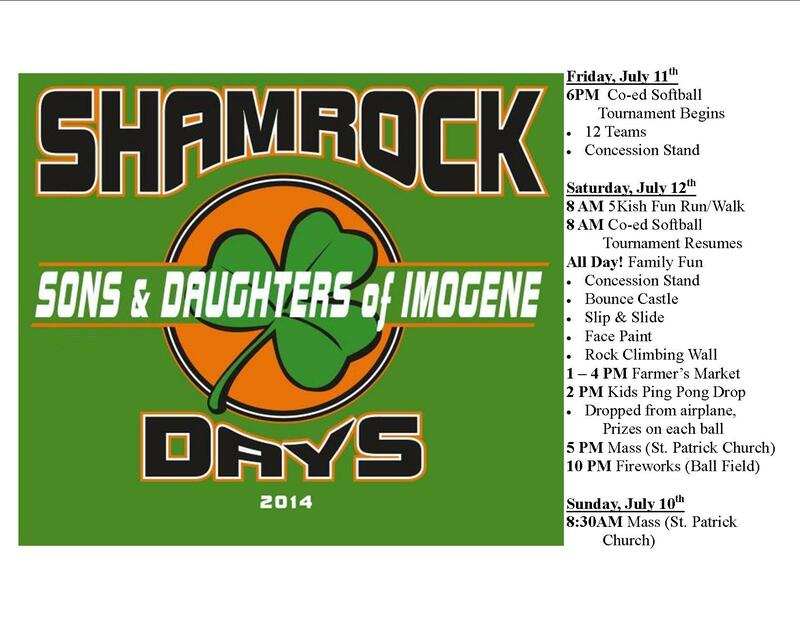 This Friday & Saturday, July 11th & 12th, will be our 5th Annual Shamrock Days Co-ed Softball Tournament, 5K-ish Fun Run, Concession Stand, Bounce House, Giant Slip & Slide, Face Painting, Rock Climbing Wall from the Iowa National Guard, Ping Pong Ball Drop, Farmer’s Market, and of course the fireworks show! Hope to see you this weekend!